Jeffrey C. Lagarias is the Harold Mead Stark Collegiate Professor of Mathematics in the College of Literature, Science, and the Arts at the University of Michigan, Ann Arbor. Prof. Lagarias’ research interests are diverse. His initial training was in analytic and algebraic number theory. After receiving his PhD in 1974, he worked at Bell Laboratories and AT &T Labs until 2003, on problems in many pure and applied fields. 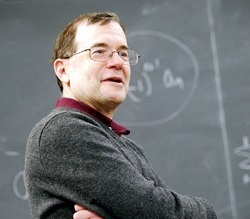 Besides number theory, Prof. Lagarias has made contributions in harmonic analysis (wavelets and fractals), mathematical optimization (interior point methods), discrete geometry (tilings and quasicrystals), ergodic theory, low-dimensional topology (complexity of unknotting), and theoretical computer science. At Michigan Prof. Lagarias has been active in the number theory group over the last few years, with additional work in other fields. His last 25 postings on the arXiv were in: Number Theory (16), Dynamical Systems (3), Classical Analysis and ODE?s (3), Metric Geometry (1), Optimization and Control (1), Spectral Theory (1). His doctoral students typically work on their own topics. Some have worked in topics in number theory: integer factorial ratios, character sum estimates, Diophantine equations with two separated variables; Others have worked in topics in discrete geometry: packings of regular tetrahedra, rigidity of circle configurations.